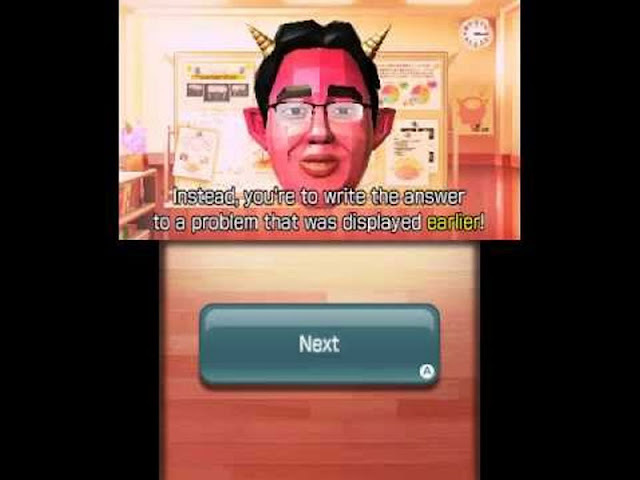 The first brain training game, 2006's Dr Kawashima's Brain Training for the Nintendo DS, set off a bit of a trend. The fad was based on the assumption, which was usually just hinted at but often claimed outright, that one could make oneself smarter by simply playing brain training games. Playing through the games’ exercises regime, we were more or less led to believe, will make our brains younger in the same manner physical exercise improves our muscles. Plus, you may recall that first trend-setting Brain Training game offered an electronic version of that brand new game that was just starting to take over the world, Sudoku! Putting Sudoku aside, Brain Training came bundled with the alluded promise of quantifiable utility. As in, all games promise to give something to their players; some, perhaps most, promise to entertain. Others, the type we tend to favour, expand our horizons. Brain Training, however, tried to position itself as a game that does the previous two but will also act as a magic pill that would make you, its player, a smarter person. Returns on investments don’t come any better than that, do they? Given the too good to be true case at hand, Brain Training managed to survive through sequels. In the meantime, over on mobile, plenty of subscription services of the quite expensive type openly claimed to enhance smartness; however, research has indicated there was no basis to the claim of enhanced IQ through playing, resulting in several cases of companies retracting their advertised promises. Perhaps, then, Brain Training will not make you smarter. It wouldn’t hurt, either. 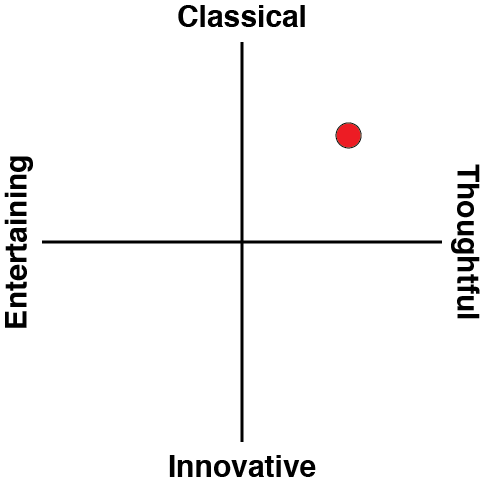 Personally, I didn't care this way or that; I found Brain Training fun and I thoroughly enjoyed it. Then again, I'm the type that enjoyed Basic Math on the Atari 2600 and my favourite toy was a Little Professor, so I probably do not pass for a typical homo sapiens. And though it has often been said that nothing in this world could make me smart (or smarter), it did become clear that my basic math abilities were greatly improved through that DS game. Think: ability to quickly calculate due change. That was the picture back in 2006. Back then Brain Training was original. Back then, games were much harder to come by. Back then, smartphones and online app stores did not exist. 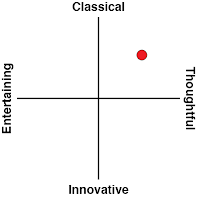 So, how would a new brain training game fare in this new age of cynicism, saturation and excess of stimulation? Nintendo's answer: release the 4th game in the Dr Kawashima Brain Training series, Dr Kawashima's Devilish Brain Training for the 3DS. 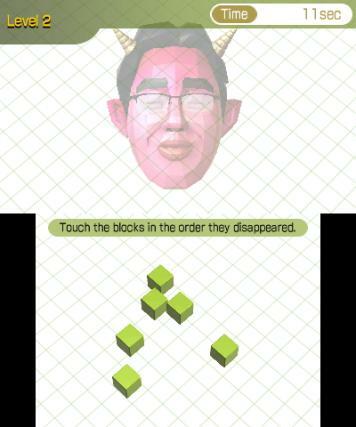 This time around, the Kawashima franchise picks on the nemesis of the smartphone era, concentration. Or lack of. The science behind the problem says we all crave the dopamine hit that's there to be had if we just check our Facebook status. But that craving for status updates means we can't concentrate on life's real tasks, those mundane affairs of working and studying that tend to come dopamine-less. Worry no more, Nintendo shall save you! As before, Nintendo is using scientific claims to back its claim, or at least wrap its game in a very lab coat dressed, mildly 3D effect using, shroud of perceived authority. 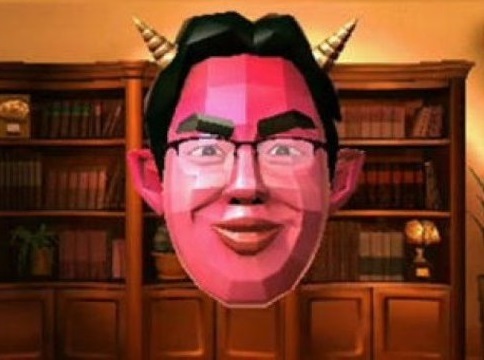 Exactly as with the previous episodes in the series, affairs are presented by a virtual Dr Kawashima who won't shut up for the duration of the game. And after a long exposition that feels as if this game is trying too hard to justify its existence by explaining the scientific concepts behind it in layman terms, I got to my very first devilish training brain exercise: a series of basic arithmetic exercises, of the add/subtract single digit numbers type, but where I had to write down the answer to the previous question rather than the one currently presented to me. Yes, it did occur to me that with the notable exception of that last catch, this was the exact same thing presented the exact same way that 2006 Brain Training game did. Was it a déjà vu? It definitely felt like one, given that just like the 2006 incarnation on the DS, Devilish Brain Training on the 3DS often proved unable to read my stylus handwriting for the answers. I know it sounds like a petty complaint, but it can be incredibly frustrating given the game moves on to inform you it had found you to be a dumb person (albeit in a more PC manner) when it is actually the game itself that is dumb. Matters of optical character recognition aside, Devilish Brain Training’s regime becomes apparent rather quickly. As you train, you expose additional exercises; for example, the first one to be unlocked is a pair matching game. In addition, the exercises grow harder as your performance improves, either through speed or through tricks such as having to provide the answer to the second last, then third last, then fourth last question. Similarly, exercises go easier on you if they turn out to be too hard. With each of the core Devilish Brain Training exercises, your target is to complete five minutes of net exercising per day. Given the tedious nature of the presentation and all the fussing about from the doctor who likes the sound of his own voice way too much, I clocked the gross duration at roughly twice that of the net's. I don’t know about you, but for me time is clearly my most precious resource in this life; witnessing it being wasted so carelessly is not a crime I can ignore. Once you finish your five minutes exercise, the doctor provides an age diagnosis based on performance. To my lack of surprise, it said my brain is much older than I really am, thus confirming both my wife and boss correct in their assessments. More to the point, Devilish Brain Training takes you through a profile creation process in order to track your performance and achievements over time; to which I will add the [old] InfoSec guy in me was not impressed by the game asking me for my exact date of birth that it doesn't really need. 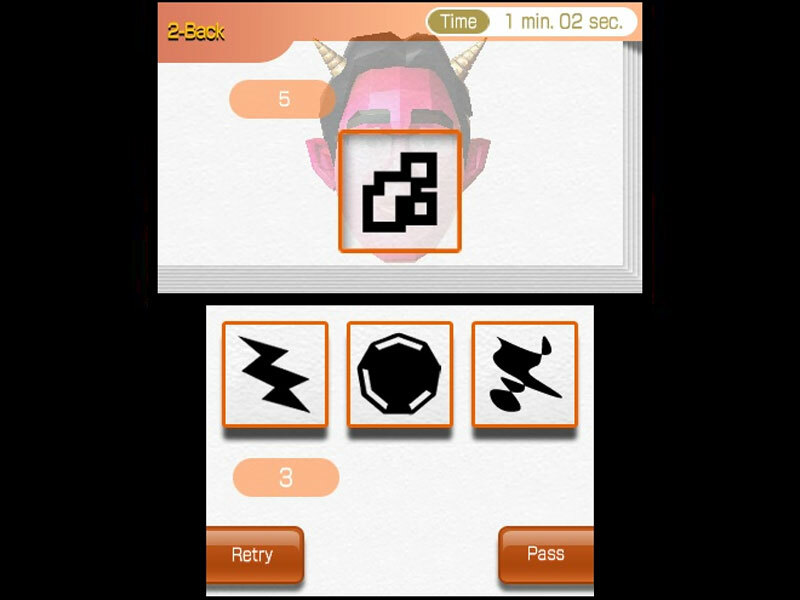 Given the core brain exercises are not enough to fill a title with, Devilish Brain Training offers several additional modes. There is a section designed to help the player relax, starting with a sort of a Puzzle Quest like affair with more to come as you play. Nintendo can call this area whichever way it likes, but I call it a collection of mind teaser mini games. Then there is a section of “working memory” exercises. These start off with calculations - that is to say, the exact same exercise I started off with back in 2006. 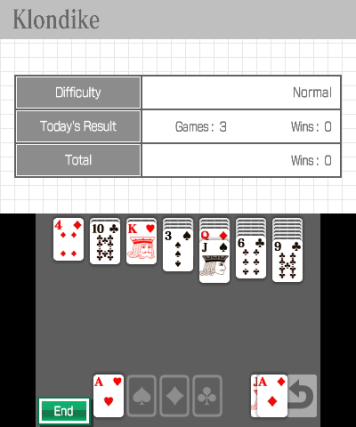 The section slowly unlocks additional brain training mini games that aren't about concentration, but their theme continues to be around the functionality of the series’ older exercises. “Seminars” act like short PowerPoint presentations explaining a bit about the brain, and in order to motivate the player you are also given the occasional in-game achievement award. If you read between the lines, the state of things becomes very clear: Devilish Brain Training - a game that sells itself on the merit of helping you concentrate - is actively using mechanics used by the very tools it is meant to cure you from, the Facebooks and the Instagrams, in order to create addiction. It is as if Nintendo is not trying to cure your dopamine addiction, it simply tries to replace its source. This could be forgiven if the game itself was fun. 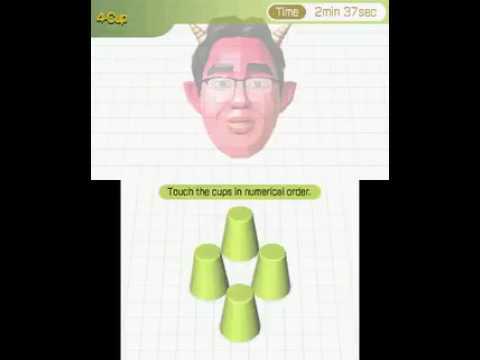 As I have already stated, I do like the type of brain exercises Dr Kawashima has been throwing at me for over a decade now. I cannot, however, ignore the fact the old fashioned recycled user interface with its recycled exercises, which might have helped Nintendo knock this title off rather easily, is unable to withstand the onslaught from the modern day opposition that has been depriving us of our concentration: the smartphone. It is therefore hard for me to imagine a game that pretends we are still in 2006 being able to act as the solution to a problem caused by a phenomenon that first arrived a couple of years later. Our world, 2017’s world, is one where a typical person cannot do all the things they should do for their own wellbeing. We refer to the people who can as privileged because us, normal people, have to struggle to fit work, studies, sleep and the eviction of the possum that decided to call our roof home into our daily lives. Not to mention scoring bonus points for physical exercise, meal preparation, or teeth hygiene. Do we have time to fit Devilish Brain Training into this equation we call life? Assuming concentration is a problem worth solving (an assumption lacking the solidest of foundations), I will argue there are better, significantly more efficient, ways to address it than through another game from a device that's otherwise a regular dopamine provider by its own rights. We can argue about the benefits of meditation, but no one can argue with the merits of switching one's phone off to start with. You can even go a step further and find ways to reward yourself for keeping away from your smartphone (hint: use coffee based techniques). But Devilish Brain Training? Yeah, nah.